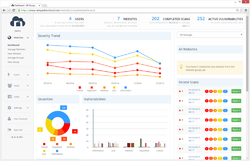 Netsparker Cloud - A scalable multi-user online web application security scanning solution! 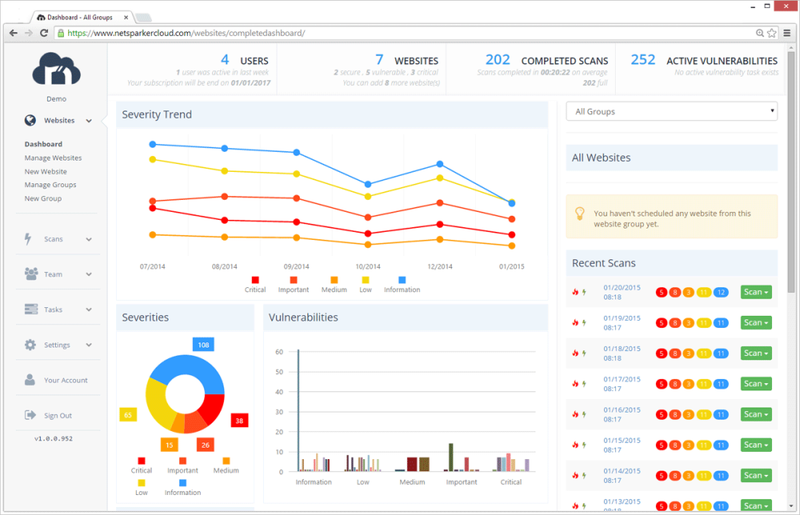 A scalable multi-user online web application security scanning solution! Win one of the 10 licenses for Netsparker Cloud! Netsparker Cloud is an enterprise level online web application scanner developed by Netsparker Ltd. It is a fully scalable multi-user service that can scan hundreds and thousands of websites within a few hours. 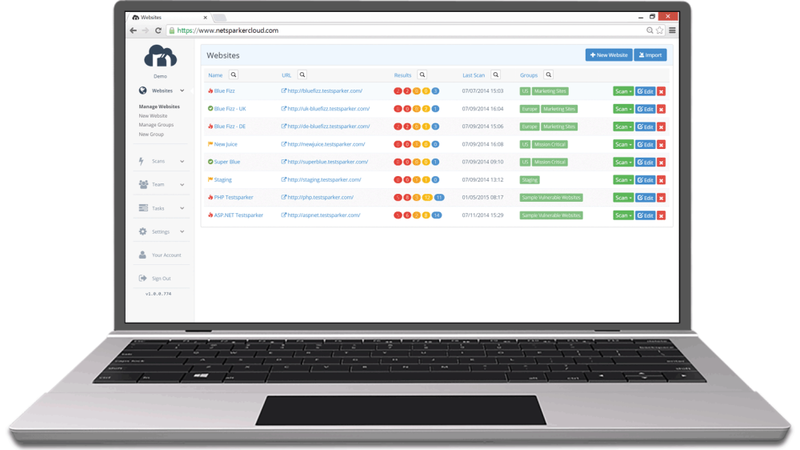 Its built-in workflow tools and fully documented API allow enterprises to easily integrate automated web application security scans in their SDLC and Continuous Integration system to ensure the long term security of their web applications. 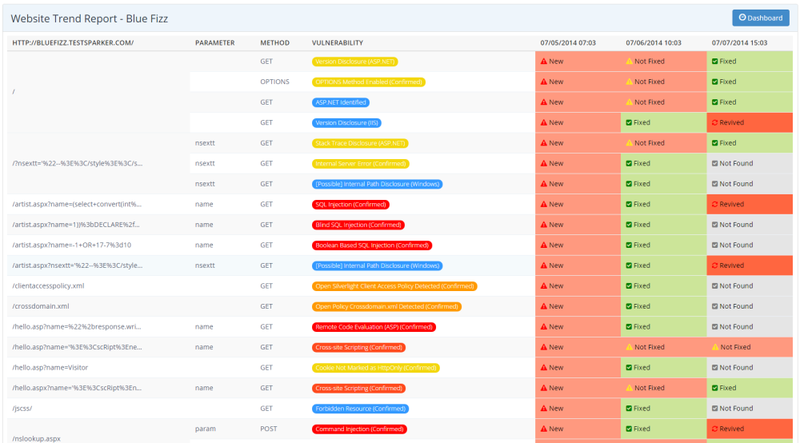 Netsparker Cloud employs a unique and dead accurate scanning technology that automatically verifies vulnerabilities with a proof of exploit, therefore you do not have to manually verify its findings and can focus on fixing the vulnerabilities instead. Netsparker Cloud has been chosen by many world renowned companies such as Samsung, NASA, Microsoft, ING bank, Skype and Ernst & Young. We are offering 10 lucky winners a Netsparker Cloud account with three vulnerability scans! Programın satış fiyatı $363.00, fakat yarışmamızın kazananları ücretsiz sahip olacaklar. Do you still remember the cassettes from the 80s? Now you can have it again. 'Spending Log' logs your income and expenses so you can keep track of where your money is spen. A meetup and event discovery app that connects people who want to party. Photo Map show your photos on map and automatically generate a simple and intuitive journal timeline. Perform basic counting and countdown operations. Become the God of Battle amongst demons, elves, and humans! Music player, mp3 player app is a best media player for Android. Played the free version and wish for a premium option? This game would be easy if you could turn both directions! The third successive work of the series, the latest successor. › Fast & Furious'tan yeni fragman! › Hızlı mobil sayfalar gizlenmeyecek! › Galaxy S10 adeta yok sattı!